Thrillist and Samsung have launched a content series to celebrate the power of mobile technology. More than just a tool, mobile tech has become the central force driving how the world operates today. 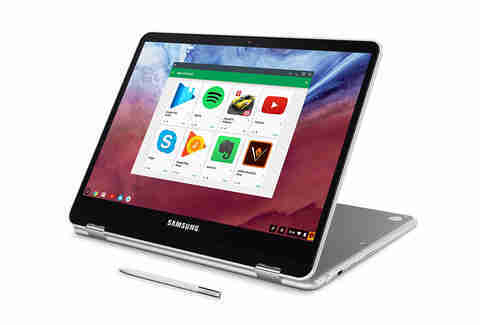 This new normal is why Samsung engineered the Chromebook Plus -- a 360° convertible device combining the power of Chromebook and versatility of a tablet with business apps and optimized, HD display -- to help the mobile generation travel, and slowly take over, the world. We grab a Lyft home after a night out, order Seamless to have Pad Thai arrive by dinner time, and hit up Taskrabbit when we need an AC unit installed. Whether swiping right or tapping for details, the use of mobile technology comes as natural as breathing, so it’s no surprise that technology’s role is just as important for those in the hospitality industry. Scott Schneider, co-owner behind Brooklyn cocktail bars Ramona and Elsa, has a lot of business to check on during the course of his day. With home base constantly shifting, mobile tech drives communication and decision-making across both of his venues. Hospitality wasn’t always the name of the game for Schneider. Prior to opening the original Elsa in 2008, he had a short stint as an assistant engineer at a recording studio. Not long afterwards, the Elsa project was underway and Schneider committed to it full-time with his business partners, Natalka Burian and brother, Jay. As his first foray into the restaurant and bar world, it was time to get familiar with what some would refer to as core of the hospitality industry: POS, point of sale. Once his feet were wet, Schneider realized the POS system at the bar -- cue old-school bodega-style credit card swiper -- was antiquated, and made decision to upgrade. During the hunt for his next POS OS he discovered the issue was common across most bars and restaurants. Fast forward to present day, and you’ll find that the clunky hardware terminals and port hub have been replaced with tablets that are used daily at both bars. “Back then, you had to have someone from a company come set up the POS systems. On top of that, you’d teach yourself how to program each to make even the simplest changes,” he explains. Adding a new cocktail to the menu would require someone coming into the office, adding the physical buttons, and then resetting all the stations individually to reflect the changes made. There’s no need for office space to keep operations in check when you have the Samsung Chromebook Plus. The Chromebook Plus works online and offline, has anti-virus built in, updates automatically,* and its sleek metal body design makes it slim and lightweight so you can carry it wherever business takes you. These days, Schneider sets up everything himself without having to leave his place in the bar, whether that means he’s behind the stick or taking a meeting off site. Self-installation helps him understand the workings of each system, and multiple stations mean a lower admin cost and overall time efficiency. Lighter equipment and a design that occupies little space make for a cleaner look and feel to both bars’ overall aesthetic. At Elsa and Ramona, restaurant management apps Breadcrumb and Upserve are used to handle everything from labor costs to keeping track of inventory. “It’s easily the most important use of tech in our bars,” Schneider says. With the ease of work between tablet and phone, Schneider can monitor every little thing going on at both bars. Sales are monitored live instead of being bookmarked on a desktop site and referenced at a later date. Schneider and his partners can view security footage in real time -- regardless of where he might be over the course of a day. Besides management and administration tasks, Schneider wears the design hat, leading the charge of the creative aspects at each bar. 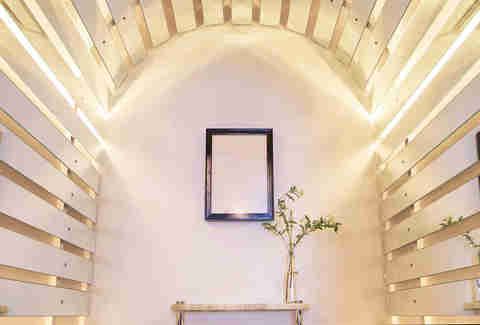 He designs each aspect of the bar himself, from the website’s visual aesthetic to the bar signage to the menu’s look and feel. With mobile traffic to websites surpassing that of desktop views, he finds it important to see the final version of a piece of design on his phone before production. From final review, Schneider uploads the files to the cloud via app, and then sends things out to print. Both applications allow ease of access to files that are sent directly to the printer, wirelessly, from his phone. 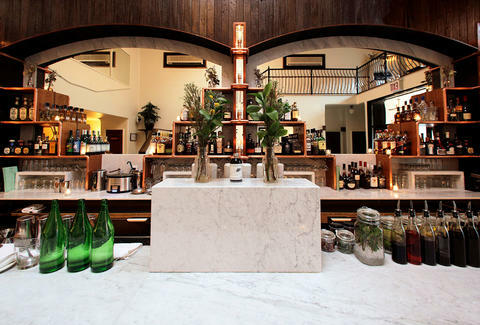 At each bar, guests will find meticulously-crafted cocktails set against a relaxed, party-like atmosphere. 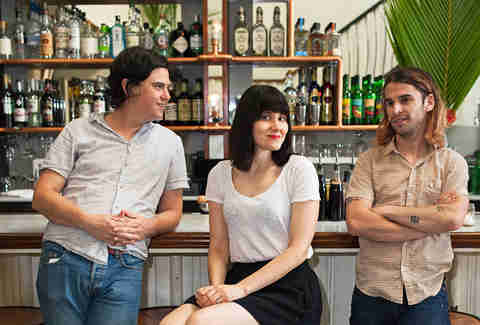 For the larger parties that come in and out over the weekend, or a more intimate setting with upbeat energy, Ramona and Elsa respectively fit the bill for Brooklyn bargoers. Ten years ago, business didn’t have Instagram accounts; and foodie influencers weren’t attending friends and family preview openings. Now, with two establishments and close to ten years under his belt, Schneider reflects on his experience from then to now. “The biggest difference in my job compared to 10 years ago has to be the effect that apps like Yelp! and Google Reviews make when running a bar,” he explains. Guest experience isn’t just shared via apps -- it’s enhanced by them. 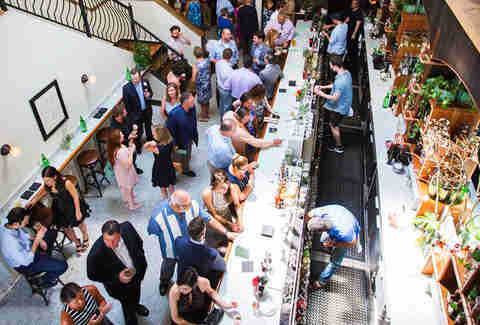 At Ramona, an indoor balcony holds enough for a large birthday party, so guests are constantly making reservations -- and they do it through an app that’s similar to Open Table or Resy, called Reserve, without staff having to helm the phones as often in the course of their other duties. Touting one of New York’s most Instagrammable bathrooms, Elsa’s aesthetically-pleasing powder room sparks up a conversation, as told by the bar’s “Bathroom Selfie Series,” on Instagram. This series was birthed out of humor Schneider found from guests’ posts. “I truly believe that every single follower we have is because they came into one of the bars and really enjoyed it, not because they clicked on #Brooklyn,” he says. This proof lives outside of a hashtag; at Elsa and Ramona, one can see just how many people are taking photos, partying, and simply having a great time. “When it comes to social media, if you told me five years ago that both bars would have Instagram and Facebook accounts, I probably would have laughed,” Schneider says. But whether via a hashtag or adding a cocktail to the list, bars like Elsa and Ramona prove that hospitality and hi-tech are not mutually exclusive.